We need to talk about Scottish food. No, I don’t mean deep-fried Mars bars. 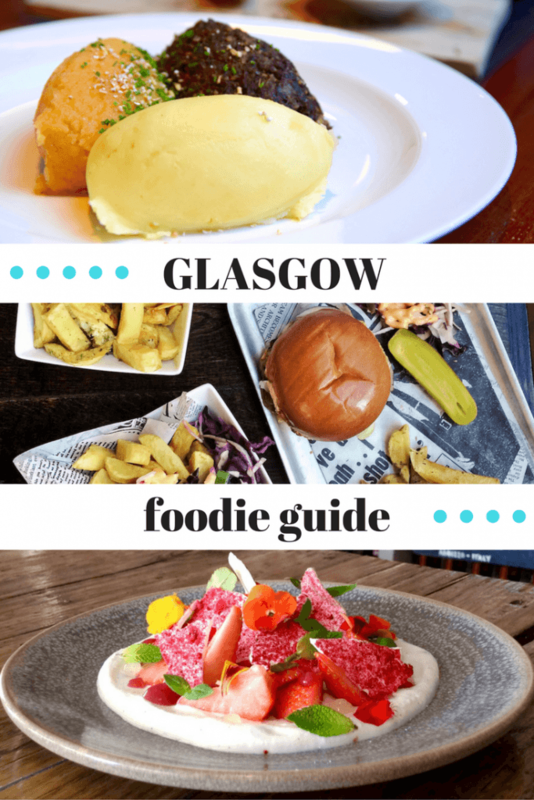 I’ve put together this list of best restaurants in Glasgow, because I’ve been stuffing my face with all kinds of delicacies since I moved here in April. I’m talking life-changing burgers and the kind of culinary creativity that makes you (or is it just me?) want to write a song. Pin this if you enjoyed this post! 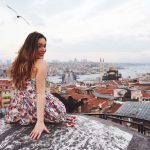 My favourite way to experience a destination is through my stomach and I hope this guide helps you get to know my current home a little bit better. I’ve divided it into four locations – the city centre, trendy Finnieston, student-filled & artsy West End and laid-back Southside. 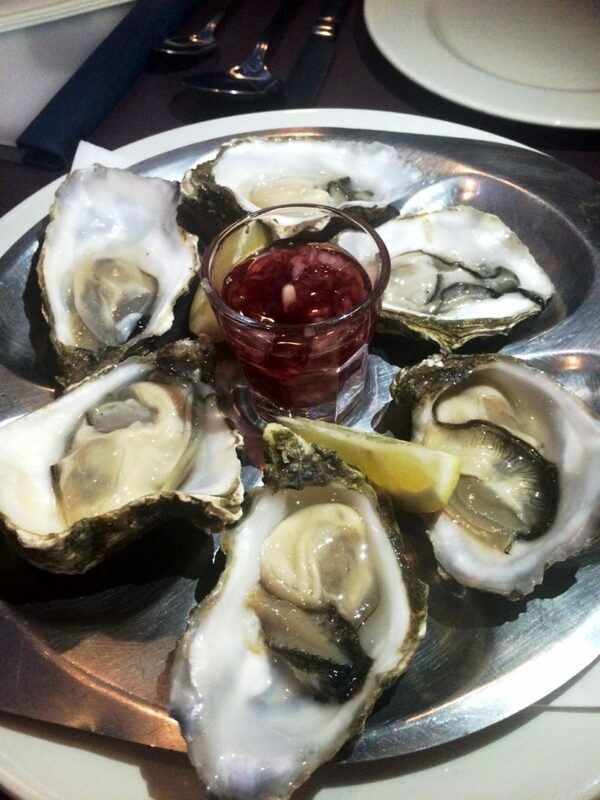 If there’s one thing you should try in Scotland, it’s seafood. I know you’ve heard all about haggis and black pudding – and we’ll get to them – but the country serves up some of the most delicious seafood in Europe. The aptly-named Mussel Inn is the place for an affordable meal straight out of the sea (with a brief interlude in the kitchen). My favourites are the sustainably-produced mussels, chilled oysters and cheesy Lobster Thermidor. When I first discovered Bavaria Brauhaus, I wasn’t sure I’d like it. My parents own a studio on the border between Czech Republic and Germany, so I spent most of my school holidays cycling around Bavaria. I remember the green forests and checkered dirndl dresses, but my fondest memories are of food. Walking through the door of this giant beer hall made me equal parts shocked and nostalgic. The place is authentic, y’all! From the wood-panelled walls to the giant steins, it really feels like you’ve teleported to Germany. I recommend you try the Paulaner Hefe-Weissbier and Käse Spätzle, which is kind of like German mac and cheese only way better. The halloumi burger is another great vegetarian main, while the venison sauerbraten is sure to please all meat-eaters. Speaking of carnivores, Bread Meats Bread is one of the city’s best burger joints – although you’ll have to keep scrolling to get to my favourite. I can’t recommend one dish because they’re all wonderful. The one thing I would recommend is reserving a table, as the place is usually packed. 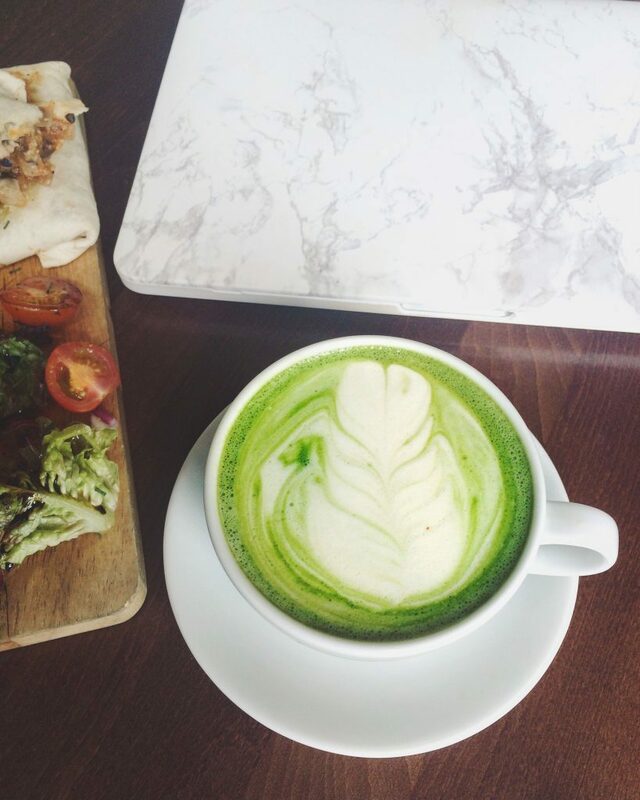 They cater to many different diets with a gluten-free, vegetarian and halal menu. They also serve wonderful grilled cheese and poutine. 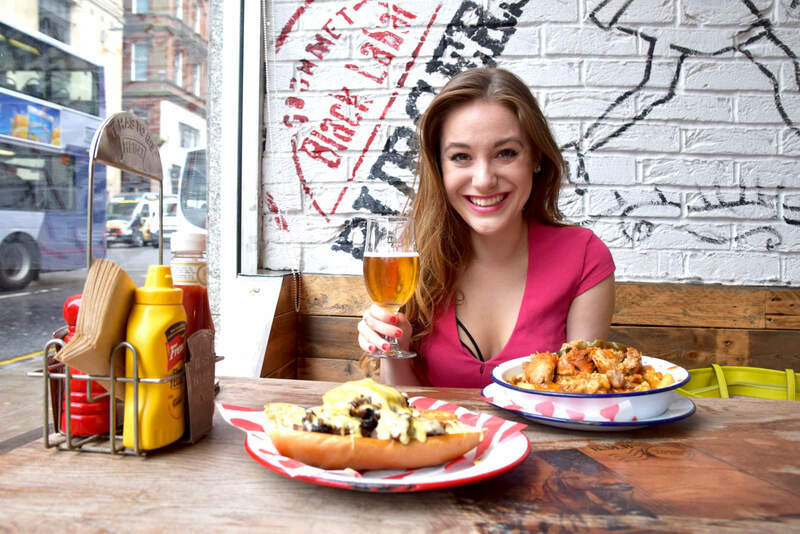 Another great option is Handmade Burger Co. on St Vincent Street – if you’re visiting on business it’s worth noting that they have three meeting rooms and a cinema for hire. If you like beer you should also check out WEST Brewery in Glasgow Green, the city’s oldest park. It’s not quite in the centre but it didn’t fit into any of the other categories so I hope you’ll forgive me. You can tour the brewery or just enjoy their German-inspired menu prepared with fresh local ingredients. The surrounding park is home to the People’s Palace and Winter Gardens which make for a lovely post-meal stroll. I’ll kick off with seafood again. Crabshakk is trendy but tiny – it’s unlikely you’ll be able to eat there without a reservation. That sadly explains why I, with my questionable planning skills, have not been able to eat there yet. But I have it on good authority that their scallops, langoustines and – of course – crabs are fresh and delicious. 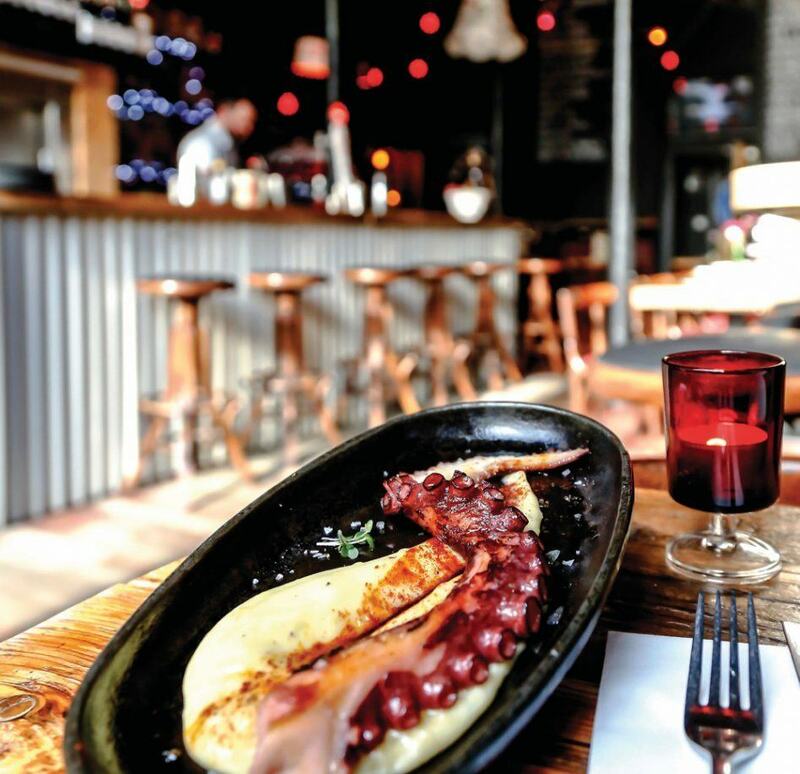 Similarly, you should not miss the octopus at Rioja. You don’t need to love seafood to eat here, with a wide selection of paella and traditional Spanish tapas to choose from. They have a great wine list, but don’t bother with the cocktails. Nope. If delicious cocktails are what you’re after, walk across the road to The Finnieston. Their signature martini and comprehensive gin & tonic menu keep me coming back. As for the menu, it’s full of seafood and imagination. 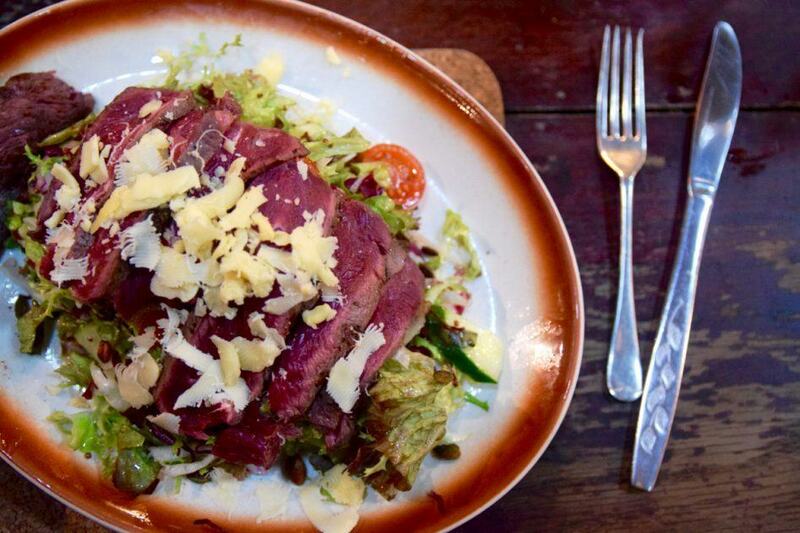 For a major steak, visit Porter & Rye. And when I say major I don’t just mean delicious – I mean a 28oz porterhouse! Their dry aged beef is among the best I’ve ever had. 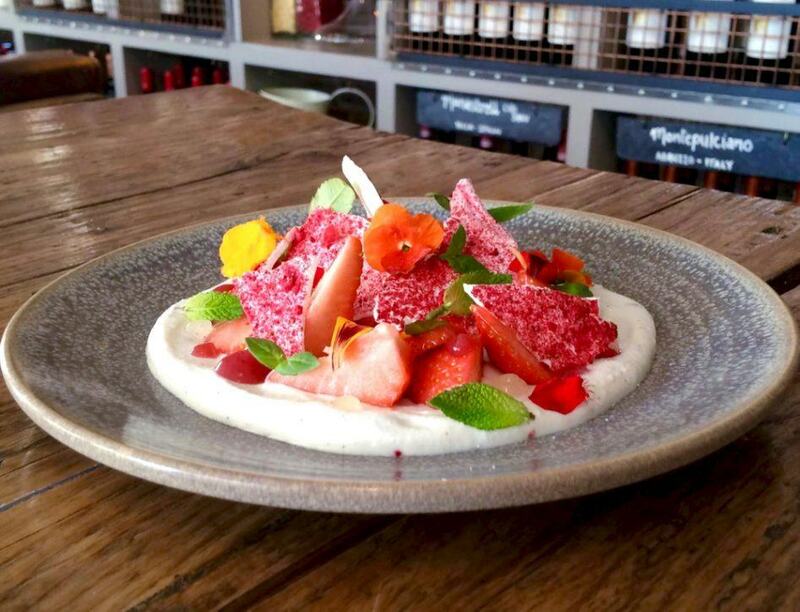 If you enjoy tapas-style dining, Ox & Finch is where it’s at. 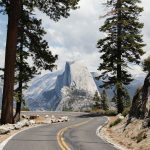 You’ll be in good hands here – it’s run by Jon MacDonald, former chef for the McLaren F1 team, and has received Michelin’s Bib Gourmand award. Since opening its doors in 2014 the restaurant has gone from strength to strength so don’t be surprised if you can’t get a last-minute booking. If you do try the scallops, the confit hogget shoulder and crayfish cocktail with avocado. There are a two other places I’d like to recommend, even though I’ve not yet had a chance to dine at either. The Gannet is one of the most popular upscale restaurants in the city and Mother India is where locals turn to for great curry. Near Glasgow University’s main campus you will find the seemingly unassuming Stravaigin. The restaurant takes its name from an old Gaelic word meaning “to wander aimlessly with intent” – and I suggest you stravaigin the hell toward it. Like Ox & Finch it holds Michelin’s Bib Gourmand, as well as the AA Guide’s 2 Rosette. 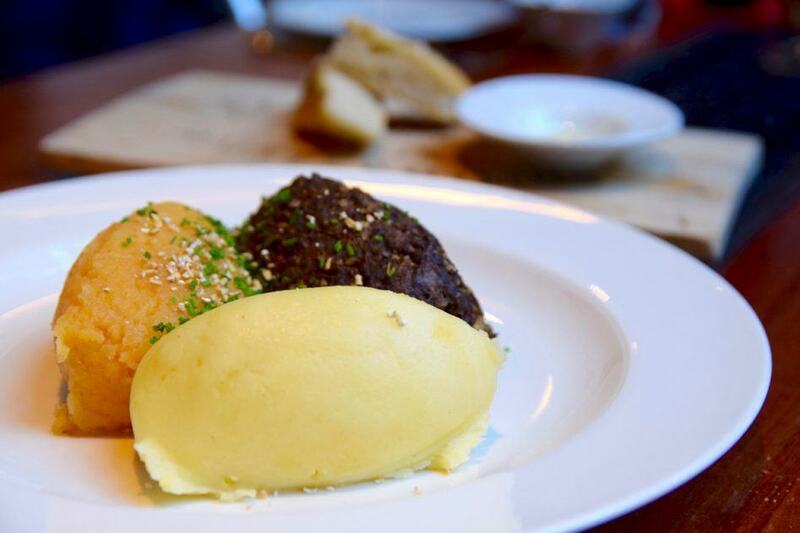 The menu is full of Scottish classics like haggis with whisky sauce – told you we get there! – as well as Arabian-inspired dishes like spiced ras el hanout slow cooked belly or cauliflower and cheddar cake with rose harissa chickpeas and hibiscus dukkah. If a contemporary take on Scottish cuisine is what you’re after, you should also stop at Ubiquitous Chip. Ronnie Clydesdale opened it in 1971, at a time when eating out consisted of Italian or French food – local dishes were only cooked at home. Since then it’s become, well, a lot more popular. The late Ronnie himself got a lifetime achievement award for his contribution to bringing back Scottish cuisine. This is the perfect place to try haggis, neeps and tatties (swedes and potatoes) and Aberdeen Angus beef. No list of best restaurants in Glasgow would be complete with this entry! 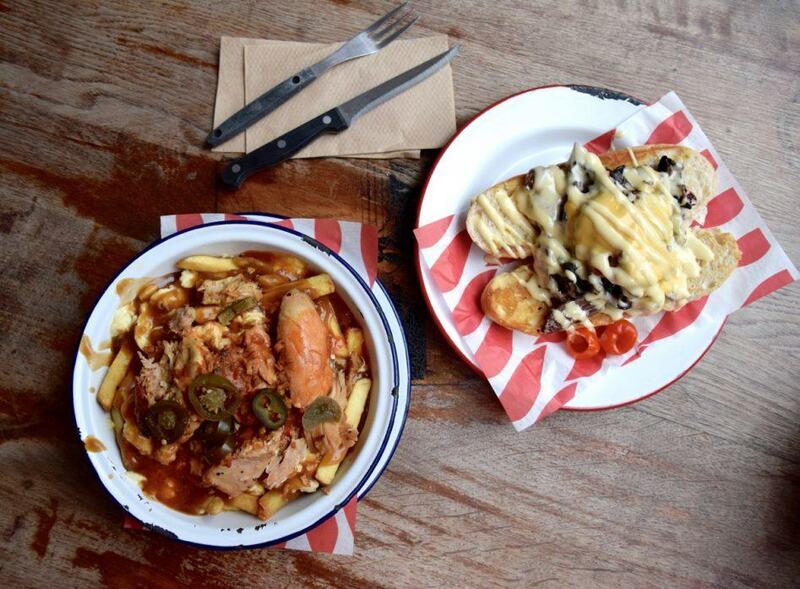 The Ubiquitous Chip is located on Ashton Lane, and trust me when I say that’s a place you can’t miss. What I mean by that is – you should not. Missing this hidden alleyway is easy, but it would be a damn shame. While you’re there, check out Brel for Belgian beer and moules frites . If you’re on a budget, visit Monday-Friday before 6pm for half a pot for £6. Every Tuesday you can also order creamy fondue, complete with a meat or veg board. The whimsical decor and garden is a big bonus! The nearby Hillhead Bookclub is another great pitstop for affordable grub. In their own words, it’s a venue where left and right handers can exist in harmony without fear of persecution. A licensed land of milk & honey where the ping-pong is plentiful, the computer games are retro, the cocktails arrive in gramophones and the strawberry mojitos cost nought but 3 pounds. Yes they really do have £3 strawberry mojitos. And, as any Scotsman would say, they’re nae bad. For that price anyway – I’m not sure when I officially became a cocktail snob but the damage is definitely done. Just around the corner from it you will find Òran Mór – an old church converted into a popular entertainment venue. From live music to cullen skink (ask your waiter), whisky bars to wedding receptions, it’s all here under one roof. Don’t expect culinary miracles here – I’m mainly including it for ambience and the fact that you can get decent cocktails in the Brasserie Late Night Bar till 3am. The Southside is not very popular among tourists but it’s a) where I live and b) really quite lovely. This isn’t a multiple choice question – both answers are correct. 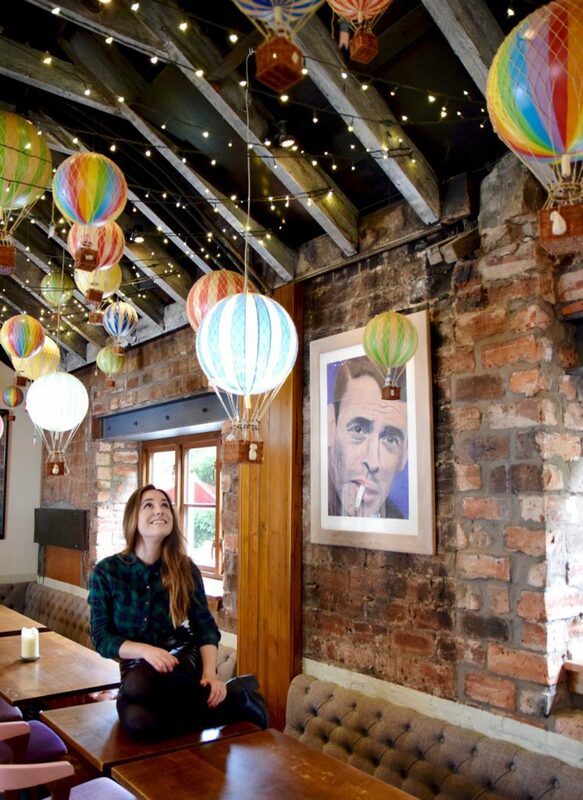 The Bungo is one of my favourite restaurants in the area. There’s a pub quiz every Tuesday, frequent wine tastings and the food is just wonderful. Everything is made from scratch, imaginative and absolutely delicious. The staff are very friendly, even for Glasgow standards which has some of the most good-natured people I’ve ever met. If it happens to be sunny outside Waverley Tea Room is a great place to kick back. They have the largest open-air terrace in the area, tasty pub grub and a solid beer selection. Mulberry Street is another popular spot for an outdoor drink or meal, as is The Rum Shack. My favourite of these three is The Rum Shack – a vibrant Caribbean bar and canteen. When I saw their shabby sign I was sceptical, but trust me. There’s an outdoor garden in the back, complete with sun loungers and tables. Those of you unsure what to order, get accra and the jerk mayhem sharing platter. If you’re vegetarian, the doubles and tostones are a good shout. If you’d only like a small healthy snack or sandwich, go to Gusto & Relish or Glad Cafe. Both have amazing coffee and food, and the latter is also a vintage clothing store! 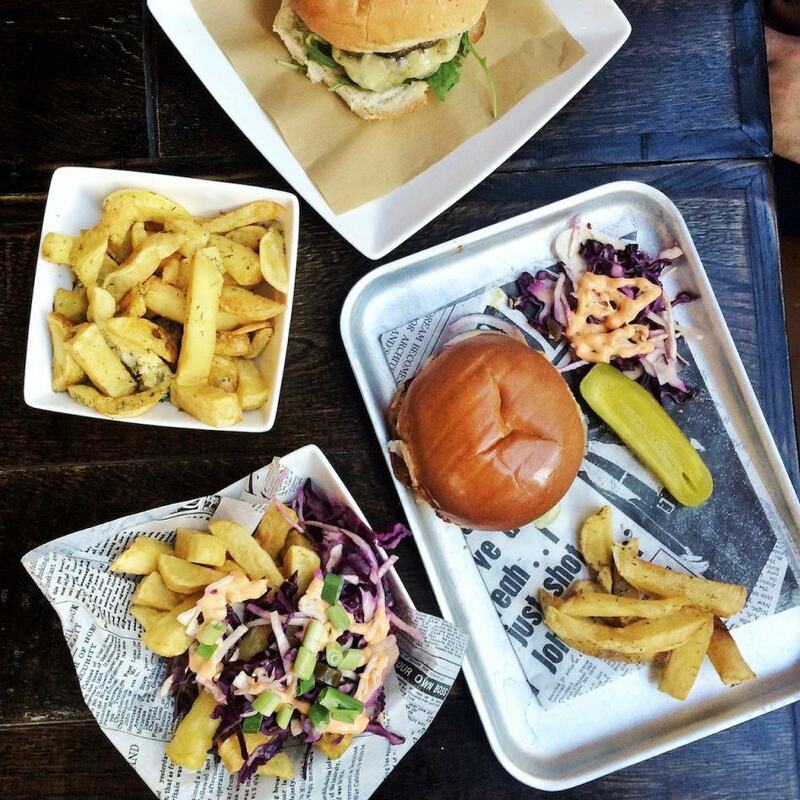 And finally… I told you you’d have to scroll to get to my favourite burger joint and I wasn’t lying! Lebowskis (which also has a Finnieston branch) recently opened in my area and I’ve eaten there more times than I deem socially appropriate. I highly recommend literally any of the burgers aside from the MacBowski Fillet which is inexplicably average. Don’t forget to order a side of devil tats – they’re spicy, cheesy and basically comfort food at its best. 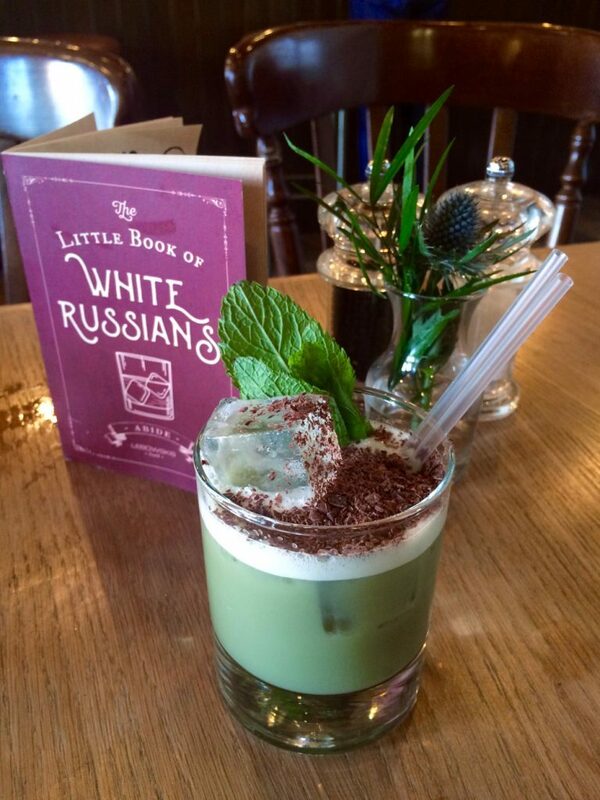 If you’re a fan of the film you’ll appreciate the extensive White Russian menu with more than 30 varieties. I’m lactose intolerant and am happy to report that, if you ask nicely, they can prepare them with almond milk. That concludes my list of best restaurants in Glasgow! 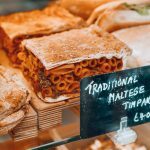 I really hope you enjoyed this foodie guide – would you like more of them? Is there anything I’ve left out? Let me know in a comment below! Disclaimer: This post was sponsored by Homestay. As always all opinions and silly puns are my own. All images are my own, except for Rioja and Ox & Finch. I wish I had this guide when I was a student in Glasgow! Although I cannot complain, we had a great time finding out new restaurants anyway 😉 Glasgow rocks! Great appraisal of the vibrant culinary scene in Glasgow. I would add the Black Dove in the Southside, Cail Bruich in the West End and Brian Maule at Le Chardon d’Or in the City. All are superb and worth a visit. I remember having the best vindaloo in Glasgow. It was too many years ago to even mention. I think Tandoori was in the restaurant name. Anyway, I will definitely be keen to re-explore the Glasgow foodie scene. Love this write up. Very comprehensive guide Sabina! Some great spots in there and definitely worth trying again at Crabshak ?. Lebowskis in south side is becoming a regular of mine too – great drinks menu. Need to do more south side exploring too by the sound of it! Great list! 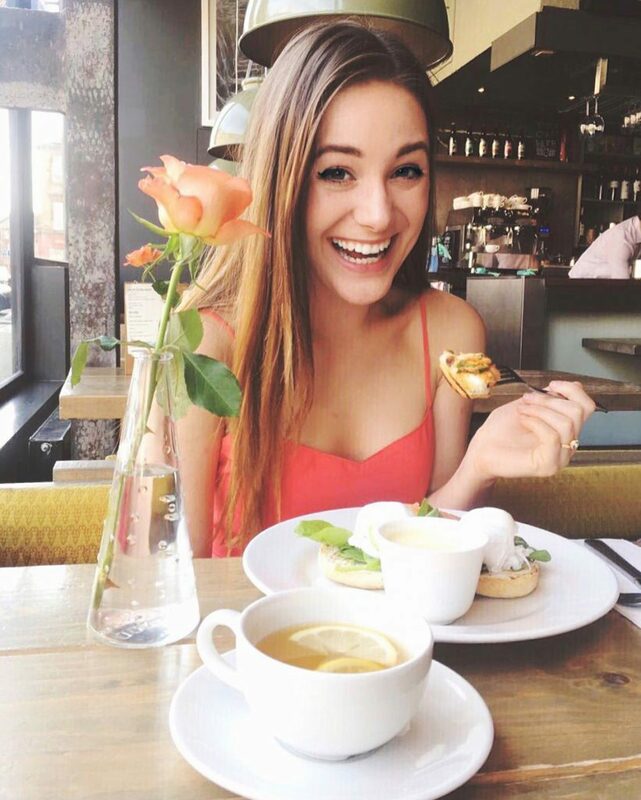 I love Glasgow and always try to eat and drink somewhere new when there! Two fat ladies was excellent, just a bit more pricey. I would add cafe candolfi to the list – its really good, I’ve been during breakfast, lunch and dinner, not one a same day tho.. ? ?